I am an Associate Professor of Biology at Berry College. I have lived in metro Atlanta since 1982 and received my Ph.D. in biology from Emory University. As an animal ecologist, I study both coyotes and African primates. 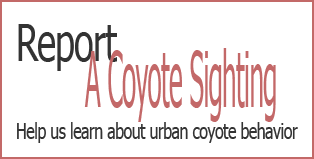 My work with coyotes began in 2002. I teach undergraduate courses in zoology, behavioral ecology, and conservation biology.